Sharklab-Malta would like to create some awareness and promotion material. 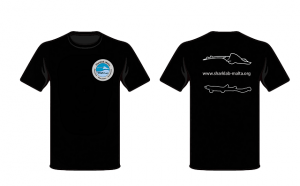 Starting with the launch of the new logo, we created two new and sharksome t-shirt designs. And so, WE WOULD LIKE TO INVITE YOU TO TAKE PART IN OUR PRE-ORDER SURVEY! This survey will help us determine an approximate number of pre-orders and what design you would prefer. Once we conclude this survey in March we will open the website for pre-orders, which will require pre-payment. Then Sharklab will start the production of the T-shirts and will inform you once you T-shirt is ready for pick-up/delivery, which will take approximately 3-4 weeks. So right in time for the summer season. The price will be approximately 20 Euro per t-shirt and the material will be 100% cotton .